For the 15th and 16th of June 2019, the motorsport fans among you should mark this date in the calendar bold, because at this weekend the 87th edition of the 24 Hours of Le Mans is going to start at the Circuit des 24 Heures, the 87e Grand Prix d'Endurance les 24 Heures du Mans. 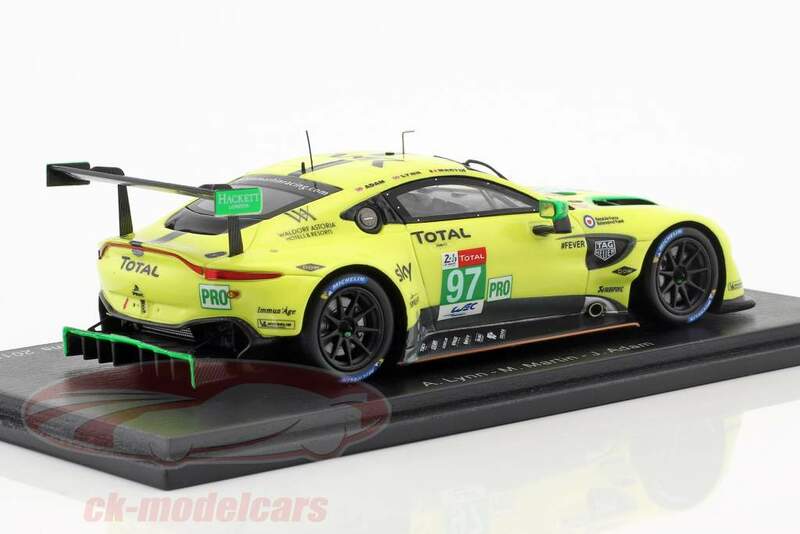 Spark prepares the collectors with more modelcars in the scale of 1:43 from the previous year, which were delivered to the specialized trade in the past week. As usual, the miniatures are characterized by a perfect reproduction of the lines and decorations; The appearance of the models, made out of resine plastic, is exactly the same as that of the models. Last year, Le Mans series winner Porsche confirmed its participation in the endurance race and named the driver squad. Let's take a closer look. 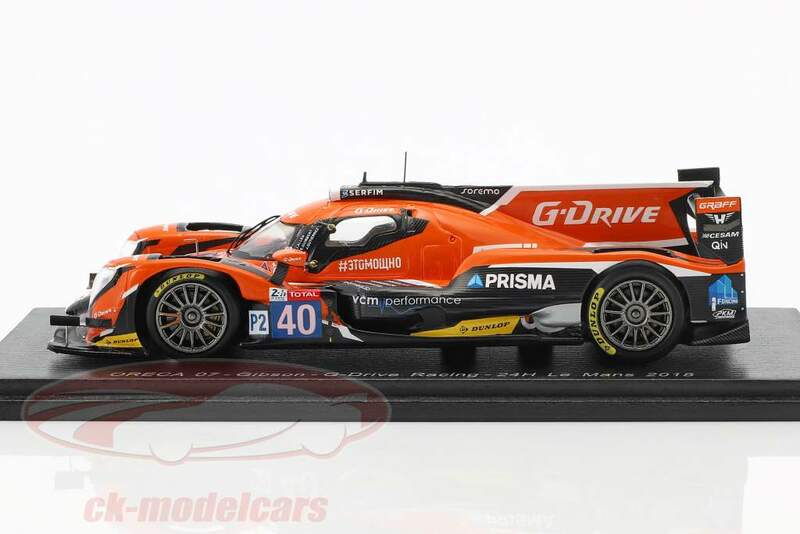 Spark has focused on the current model shipments of the Oreca 07, which had started in 2018. A widespread emergency vehicle one could say, because a total of seven 07 were at the start in the LMP2 class. 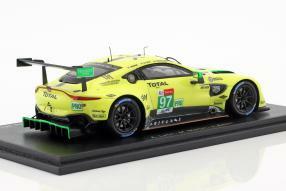 Spark delivered the eight placed model, which was used by Jackie Chan DC Racing, trusting in the driving skills of Jazeman Jaafar, Nabil Jeffri and Weiron Tan; availble under the item number S7022. 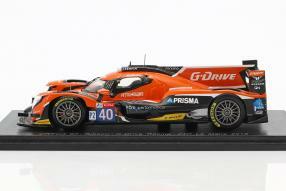 G-Drive Racing was forced to give up after 197 laps (S7025) with the Oreca 07 and the start number 40 of the drivers James Allen, Jose Gutiérrez and Enzo Guibbert. The Oreco 07 of IDEC Sport Racing with Paul Lafargue, Paul Loup Chatin and Memo Rojas made 312 laps (S7028) until the retirement; the winner Toyota, however, their 388th. But what is the difference between the LMP1 cars and the LMP2? LMP1 cars use innovative technologies, such as different types of energy recovery systems, exempted by the regulations in the choice of the drive type: However, manufacturers such as Porsche or Audi or Toyota must install a hybrid system, private teams are not allowed to do this. 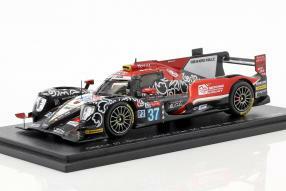 LMP1 vehicles are only eligible in the FIA World Endurance Championship. In all other championships, the LMP2 are the heroes who are only allowed to drive with closed cockpits since 2016. For a race prepared chassis of this category - for Le Mans only cars from the manufacturers Dallara, Ligier, Oreca and Riley-Multimatic are approved - may not cost more than 483,000 Euros. 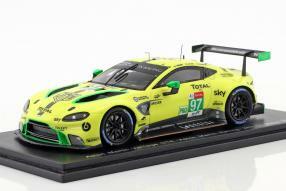 But not only to Oreca, also to Aston Martin, Spark has delivered new models in 1:43. And Porsche? Already in the context of the "Night of Champions" motor sports gala, the people from Stuttgart have announced that they will once again compete in Le Mans with four factory cars in 2019. The two Porsche GT teams from the FIA WEC and the IMSA WeatherTech Championship each serve two of the roughly 375 kW / 510 hp GT racers from Weissach. The cockpit of the start number 91 is shared by Gianmaria Bruni, Richard Lietz and Frédéric Makowiecki. Number 92 is defending champion Kévin Estre, Michael Christensen and Laurens Vanthoor. 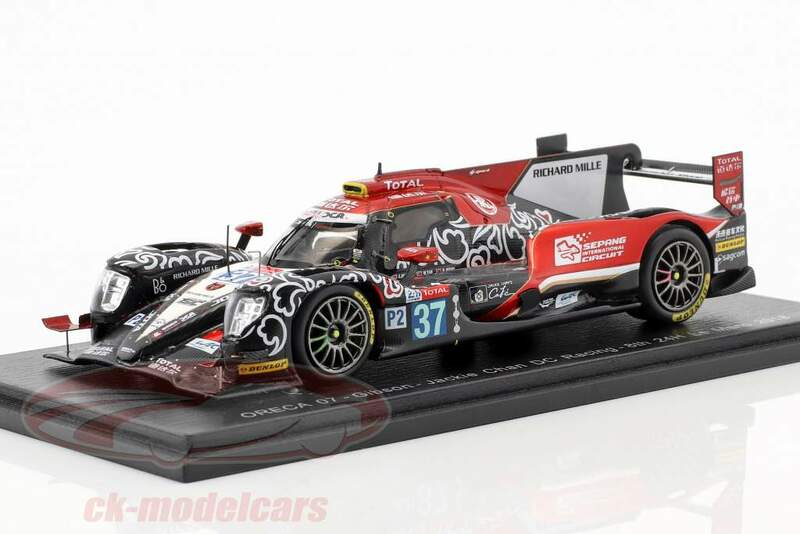 Patrick Pilet, Nick Tandy and Earl Bamber are going to compete with the number 93. In the 911 RSR with start number 94 Sven Müller, Mathieu Jaminet and Dennis Olsen are used. For the first time in the WEC the season final takes place in Le Mans.